Last Saturday night I finally got my chance to experience Furious 7! I went with my girlfriend Abby due to a condition of our relationship formed after she refused to see the 6th installment of the series with me, it was her first experience with the Fast and Furious series. She loved it! But not for nearly the same reasons as me, she was just now forming connections with the extensive cast of characters and somewhat enjoys driving but is not at all interested in cars. We both loved the movie, but for very different reasons. I love cars, I work as a content creator and marketer for an automotive company and love researching and driving cars, mostly of the everyday driver variety, so I especially love the fantastic take on cars and driving that the Fast and Furious franchise has adopted. Anything is possible with these cars, from stunts including cars skydiving out of a plane to the incredible, out of this world, customizations that they achieve to keep the movie cars far away from anything that you could see on the road on a daily commute. 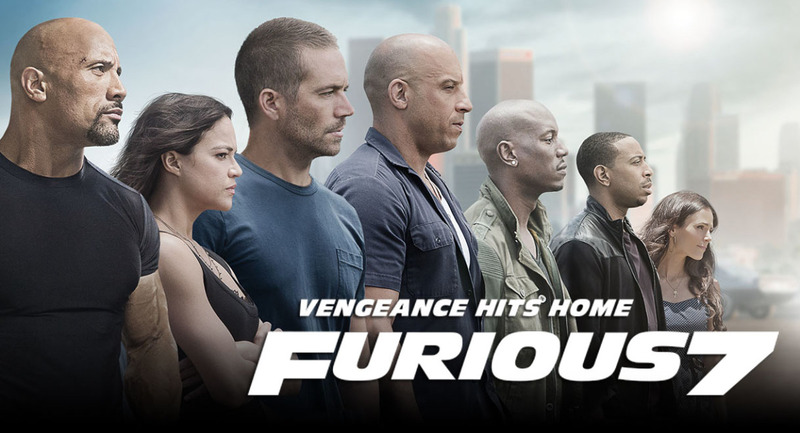 I’m a huge fan of everything Vin Diesel does, so I am heavily biased, especially toward the Fast and Furious series. Given my fandom, I love talking about the series and get excited whenever a new one comes out, no matter what number is attached to it. But even with my tremendous excitement about the series and the record breaking amount of tickets and cashflow generated consistently by the movies, I still have friends who aren’t open to seeing a new Fast and Furious movie. Maybe they just think I’m into the movies because I have been since the beginning, but there are still installments that I’m not cray about, I’m not blindly devoted to them and I’m somewhat picky with the movies that even take the time to watch. So, when I told my girlfriend Abby that she had to go see the 7th movie with me when it came out the day I saw the 6th one in theaters or else we were breaking up, it was the start of my experiment to see how someone with dissimilar interests to me as to what I enjoy from the movie will think of it. Since making that deal, I’ve tried a couple times to get her to watch some of the movies that lead up to furious 7 to no avail, she’s not crazy about watching movies to stat out with o it’s pretty difficult to get her to commit to anything she’s not excited about. But, she agreed to go see Furious 7, we didn’t end up going until it had already been out for a week, which actually ended up being beneficial as she looked into some reviews and scores and saw how much people (outside of me) were praising the movie. When we finally decided to go after I had been on the edge of my seat waiting for a week, she was actually pretty excited to see it and probably to get me to shut up about it. I loved every second of it, which is to be expected. I’m invested in the series an love the characters and they reliably outdo themselves with the stunt work every time. Moments I loved include the insane stunt like the sky dive onto the road and the retrieval of the hacker girl and the flying Lycan in Dubai, but also that moment the second time when Vin Diesel and Jason Statham are charging each other and Dom pops a nuts torque wheelie, because I called it as soon as they lined up. My Girlfriend Loved Fast and Furious 7!